There’s a good chance that either you, or someone you know, has played “Candy Crush.” It’s the addictive puzzle game where you match brightly coloured sweets to increase your score. It turns out that Candy Crush fans are able to buy edible sweets just like the ones they play with in the game. 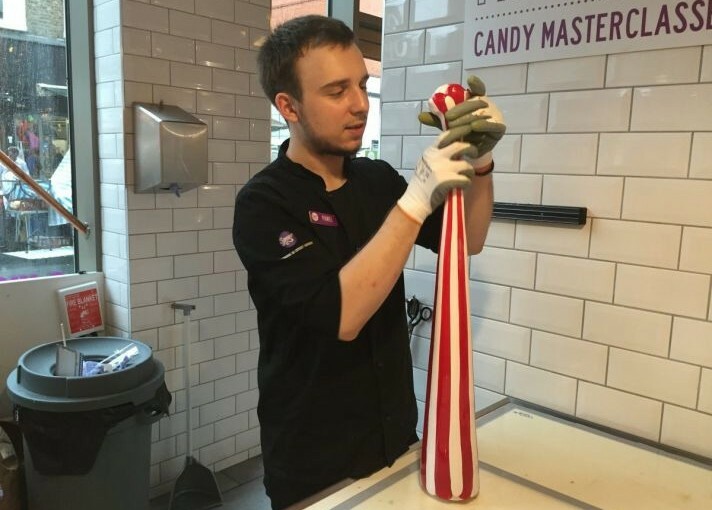 We went along to Spun Candy in London to find out how they’re made. And as a bonus, use the code “BI2015″ on Spun Candy’s website or in stores until September 30 for a discount on products. See more great candy stories here. Get a quote for an event with The Candy Buffet Company. Next Next post: Melbourne’s Best Candy Bar Company! Doughnut Wall & A Candy Buffet? Why Not!